Our brothers who paid the price and sacrificed their lives so we could have better jobs and benefits. Justice, dignity, and respect for all. Come join us as we march in solidarity in their honor. 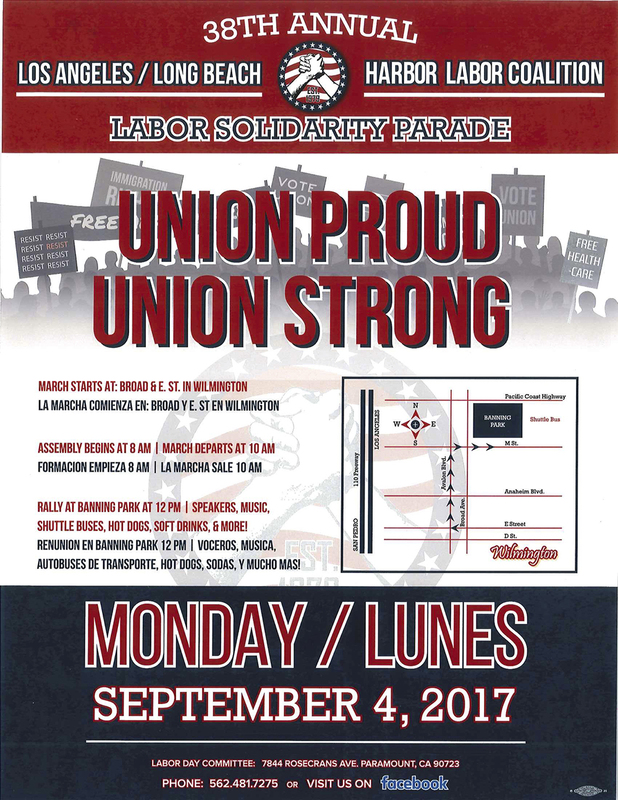 Brothers and sisters the Labor Day Parade is this coming Monday, September 4th. If you would like to join us in the parade we will be lining up on the corner of E St. and Broad St. in Wilmington at 8AM. Please wear your colors. The march will begin at 10AM. If you have any questions that morning call Moises 562-676-8488.